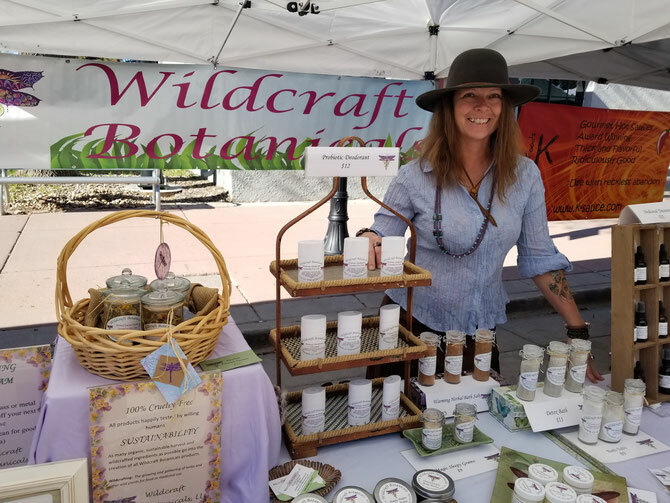 Welcome to Wildcraft Botanicals! - Website of wildcraftbotanicals! Thanks for visiting! Here at Wildcraft Botanicals, we make organic, CRUELTY FREE, all natural body and health products. Everything is carefully and happily made in small batches in my home. I believe that energy and intent have a lot to do with our world and positive outcomes so products are only created when I'm feeling joyous and positive. If anyone snuck a camera into my kitchen they would probably catch me dancing around in my apron looking like a nut! Making these products just makes me happy, what can I say? Please take a minute to browse through our amazing products and please feel free to e-mail me any questions you may have. Oh, and don't forget to 'like' Wildcraft Botanicals on Facebook to find out about our upcoming markets and special sales!